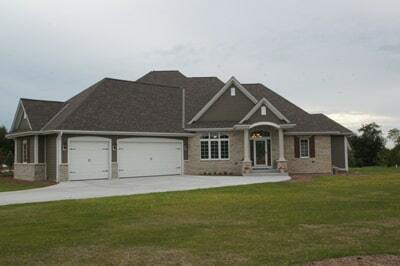 Our Waukesha custom home builders provide well-constructed and well-designed custom model homes throughout Southeast Wisconsin. We’ve highlighted the differences between the standard model home inclusions and the upgraded model home inclusions (below) for easy comparison. These model home inclusions apply to our ranch-style home construction, two-story home construction and two-story with first floor master bedroom home construction. Certain inclusions may vary based on the model home style and layout. All Jewell homes include a 10-year insurance backed warranty. See our custom model home inclusion specifications below. * Ceramic Tile $12/sq. ft.
* Cultured stone $7/sq. ft.